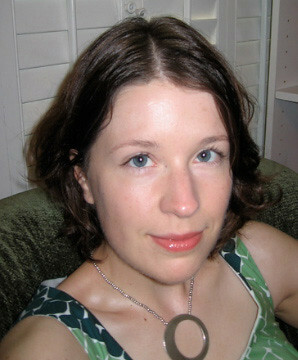 Julie Judkins is a digital curator at the University of Michigan and a poetry advocate. She leads a young adult writing workshop at 826michigan and has taught workshops on erasure poetry and visual storytelling. Visit her blog to view her recent National Poetry Month series, as well as her series on the 2012 Ann Arbor District Library’s Summer Game. Julie is the 2013 ACRL LES & Arts Emerging Leader. She’d love to hear from you. Write to Julie at julieju [at] umich [dot] edu or find her on Twitter @thatklickitat. I recently facilitated a poetry workshop hosted by the Wayne State University Press (in conjunction with the Made in Michigan Writers Series’ May 2013 Bus Tour) and the Ann Arbor District Library. If you’re looking for an inexpensive way to incorporate poetry into your library’s programming, holding a Mad Libs Poetry night is a good option. Even participants who don’t consider themselves “poetic” will walk away inspired. Thank you to Gabe Gloden and the WSU Press team for generously sharing their materials with me. The Mad Libs Poetry session I attended was held May 18th, 2013, from 11:15 AM – 1:00 PM in the Ann Arbor District Library’s Multi-Purpose Room. The workshop was free to the public and designed for adults and children ages 10 and older. Workshop partners 826michigan and The Historical Society of Michigan set up informational tables outside the Multi-Purpose Room and a local bookstore sold books from the Made in Michigan Writers Series. Following a brief reading by an 826michigan student, the attendees broke into four small groups of eight to ten people. Poets Chris Dombrowski, francine j. harris, M.L. Liebler, and Keith Taylor each led a group of attendees through two Mad Libs exercises: “Mad Libs” and “Reverse Mad Libs.” Each exercise began with a partially finished work and incorporated random words at suggested points to complete the piece. At the end of each exercise, groups shared their poems with the other participants. The workshop concluded with Dombrowski, harris, Liebler, and Taylor reading their original work. After workshop participants split into groups, each poet/workshop leader directed their group’s attention to a paper easel pad. This exercise uses two sheets of paper on the easel pad. The top sheet contains the prompts (e.g. name an adjective, name a place) written underneath rectangular cut outs that reveal the page underneath. This allows the scribe to write the chosen Mad Lib word(s) directly into the Mad Lib version, hidden below on the second page. When all of the prompts are completed, the workshop leader flips up the first page, revealing the completed new Mad Lib version on the second page. 1) Flip to the second page on a paper easel pad. Write out the Mad Lib version of a poem you’ve selected, in a large font that will be legible from a few feet away. Just leave a blank space where a prompt occurs. You’ll cue participants in the next step so there’s no need to signal what each blank signifies just yet. [Verb — Past tense] with the [Color] world, he [Verb ending in “s”]. And like a [Noun] he [Verb ending in “s”]. 2) When you’ve finished writing out the Mad Lib, flip back to the first page and carefully cut out a rectangle that corresponds with where each Mad Lib prompt falls. (Flip back and forth between the pages to get the placement right.) Underneath each rectangle, write the cue (e.g. “Noun – Plural”). 3) Have a copy of the original poem on hand so you can read it to participants as a comparison. You’re ready to Mad Lib! “Now who’s ready for Reverse Mad Libs!? Now you’re ready for a bigger challenge. For Reverse Mad Libs, we’ve given you only a handful of the words from a poem, giving you the freedom to fill in the rest of the poem as you see fit. Working as a team, you have fifteen minutes to create a completely original poem using the space provided on your worksheets. The first line of the poem is given… then you fill in the rest, making sure you incorporate the random elements along the way. There is NO word limit, but you must use the given punctuation. Take time to digest the given elements of the poem and let them inspire you. Do any themes present themselves? Consider the random elements a creative gift, rather than a burden… and most importantly… don’t worry if your poem makes sense! It’s a Mad Lib! The meaning will come out of the absurdity. Your author will be available for questions and inspiration, but they want to hear what you can come up with too! At the end of fifteen minutes, your author will enter your team poem onto the board and you’ll give it a name. When all teams are done, a representative from each team will read their poem aloud. A second handout was given to the participants at this time. It contained the prompt for a reverse Mad Lib. This example is a version of workshop leader Chris Dombrowski’s “Small Fire in Snow.” Participants completed the poem individually by hand before coming together to re-write the same poem as a group. over a campfire and served with ketchup. then blistering, to answer your hungry. 1) Transcribe Reverse Mad Lib from handout onto a page of the easel. Make sure you’re writing in a legible font that can be read from several feet away. 2) On another page, write the original version of the poem, to be revealed after the Mad Lib is completed, for comparison. Instead of established poets, invite students enrolled in poetry courses at your University to submit their work to be turned into Mad Libs. Ask the students to participate in a short reading, before or after the Mad Libs event. Instead of poetry, turn a short story or pieces of flash fiction into Mad Libs. If working with a longer piece, split workshop attendees into small groups, with each group in charge of one of the story’s sections. Ask volunteers from each group (or the author, if applicable) to read the story aloud at the end. Fire [Verb] and [Container] bubble. Like a [Noun] boil and bubble. What are you [Verb ending in —ing] on my lawn? Why do you [Verb] so [Adjective]? There is only the grass to [Verb]! This entry was posted on Monday, June 10th, 2013 at 8:23 am and is filed under Just for fun, Programming. You can follow any responses to this entry through the RSS 2.0 feed. You can leave a response, or trackback from your own site. I’m glad my post was useful for you! Please let me know how your Mad Libs event goes, I’d love to know.